The Marcia Davis March 6 Washington Post magazine essay, “BLACK POLITICS 2.0: How the post-Obama Generation is so done with the Democratic Party’s Old Ways,” is required reading for politics cognoscenti and the 2018 Black voter. It lends insights into Black groups like Woke Vote, BlackPac, Collective PAC, Three Point Strategies political consultants and office seekers working ensemble to get out the Black vote, get more Blacks elected to statehouses and Congress, to get more respect and resources from the Democratic Party. These activists, who work under the NY/DC media radar, are basically progressives who work hard at fundraising without the benefit of philanthropists. They have interfaces with the Democratic Congressional Campaign Committee, the Democratic National Committee and the Black Democratic Old Guard. 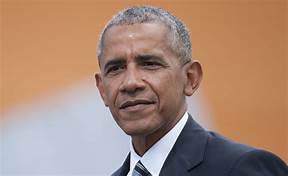 One of the post-Obama Generation leaders observed that “Blacks should be considered swing voters,” mindful of the power of the Black vote and the Democrats’ consistent attitude of taking Black voters for granted. In late 2016, about 23% of Black voters listed themselves as independents. The 2016 Black millennial vote was anemic. BLACK POLITICS 2.0 is an informative read. CURRENT EVENTS: The U.S. Justice Department reopened the 1955 Emmett Till murder case in March 2018. Till, a 14-year-old Black boy, was savagely killed by two Mississippi white men after Carolyn Bryant, a white woman, accused him of flirting with her. An all-white jury acquitted Till’s two white murderers. 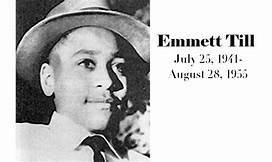 The Emmett Till murder galvanized the American civil rights movement. Bryant recanted her original story about Till in 2007 while talking with the author of the book, THE BLOOD OF EMMETT TILL, which was published in 2017. This is an odd undertaking for AG Sessions! The Trump White House veers off course. Last week, about half a dozen media outlets reported that Trump was considering a presidential pardon for the late Marcus Garvey, the Jamaican-born 20th century Pan-Africanist. Don’t know to which constituency the pardon will appeal. Hey, Forbes magazine, forget about Kylie Jenner as the first self-made billionairess, who is trying GOFUNDME to reach her goal. Does Forbes know about self-made billionaires like cosmetics diva Pat McGrath, 53, whose line, Pat McGrath Labs, boasts a valuation north of $1 billion. British-born Pat McGrath, of Jamaican parents, has been a makeup artist/consultant and product developer for Giorgio Armani, Proctor and Gamble, Cover Girl and Max Factor. She launched Pat McGrath Labs in 2015. Now the story is out about media mogul Shonda Rhimes and her multiyear production deal with Netflix, the on-demand streaming company. The NY Times reports that Shonda signed a 9-figure deal with Netflix. Forbes magazine reports the deal at $150 million. 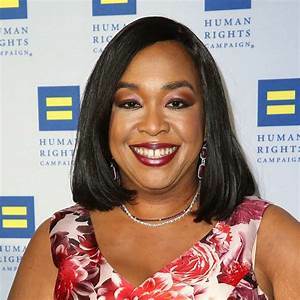 Shonda will deliver eight creative series running a gamut of subjects from sci-fi to romance novels themes and peeking into the private lives of US Presidents. Two series in the Rhimes’ production arsenal of special interest to African-Americans is filming the Isabel Wilkerson book, “The Warmth of Other Suns,” about the great 20th century Black migration from the US South and the other is a documentary series, “Hot Chocolate Nutcracker,” about choreographer Debbie Allen and “her re-imagining of the holiday ballet.” Guess that Rhimes will bring a few million new subscribers to Netflix! The good news out of Africa today is the recent Ethiopia and Eritrea peace accords, which formally ends their 1998-2000 border war which claimed more than 100,000 lives. The accord opens business opportunities between Ethiopia and Eritrea, which have already reopened their shuttered embassies which lay dormant for almost 20 years and have named ambassadors. The 34th Annual Africa-America Institute Gala will be held on September 25th at the Museum of Natural History in Manhattan. The AAI Gala is held (coincidentally) with the new session of the UN General Assembly that is attended by world leaders representing member nations. By 2020, Guyana, one of South America’s poorest nations, will join the ranks of the America’s richest nations, owing to its recently discovered oil reserves. ExxonMobil, Guyana’s partner, guestimates that in 3-4 years the nation could be generating $20 billion annually in oil revenues. Guyana’s prosperity was the subject of a 7/22 NY Times Business cover story, “GUYANA’S $20 Billion Question.” The nation is evenly populated by Afro-Guyanese and Indo-Guyanese. Debi Jackson (Mrs. Hal) and her girl squad escaped to Antigua with its 365 beaches for a few days of sun and fun……can’t wait to see Debi’s photos… Former Schomburg chief Howard Dodson was in France last week during the World Cup Finals and their dramatic victory. Howard posted pictures of the French team which looked like a group of African Union delegates with players who hailed from Senegal, Togo, Guinea, Mali, Congo, Angola and Cameroon. Zodiac’s sun sign of Leo arrived on 7/23. Birthday wishes to Leo lions and lionesses: Angela Bassett, Kobe Bryant, Dawn Parks-Anderson, Halle Berry, Usain Bolt, Laurence Fishburne, IMAN, Sarah Dash, Ambassador Alice Dear, Ramona Grey-Harris of Edward Sisters Realty, Michael Horsford, Magic Johnson, Vernon Jordan, Woodie King, NJ doyenne Lois Knox, real estate mogul Lisa Marquis, Mari Alistine-Moss, Professor Obi Nichols, President Barack Obama, real estate mogul Yvonne Stafford, Dr. Keith Taylor and Meghan Markle-Windsor (the Duchess of Sussex). RIP: Dr. Carlos Russell, 84, has passed. The Panamanian-born, Brooklyn-based trailblazer was an educator, historian, social justice advocate, community activist and ambassador. He began college studies in Panama before relocating to DePaul University in the US, where he earned advanced degrees. Panama Ambassador to the UN and to the OAS, Dr. Russell was a professor at SUNY-Old Westbury, Brooklyn College and BMCC. He was the founder of Black Solidarity Day, which calls for African-Americans to boycott school, work and white-owned businesses before US November elections. A Harlem-based management consultant, Victoria Horsford can be reached at Victoria.horsford@gmail.com.